If you have been shortlisted for the Taylor Wessing Portrait Prize 2018, we have everything in place to assist you. When placing your print order, on the Final checkout page "2. delivery & payment", you must add a new address (as below). 2. Click on "add new address", then add the following contact name and delivery address, then click "continue". 3. When selecting the "delivery method", you will need to select the £11.99 + VAT Overnight courier option. We will be upgrading all Taylor Wessing print orders to our Sameday courier option, at no additional charge! All prints will be dispatched FLAT to ensure they arrive safely and securely. 4. 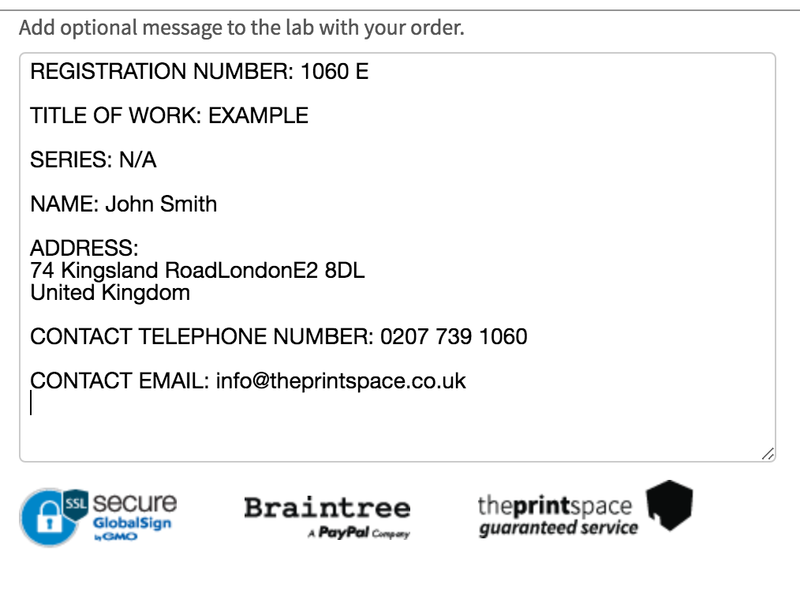 Finally, you will just need to copy & paste your label details in the "optional message to lab with your order" box. We will then print out and attach the labels to the back of your prints. *Subject to availability & stock. Our print order deadline for customers wishing to take us up on this offer, is Thursday 12th July at 18:00 GMT. 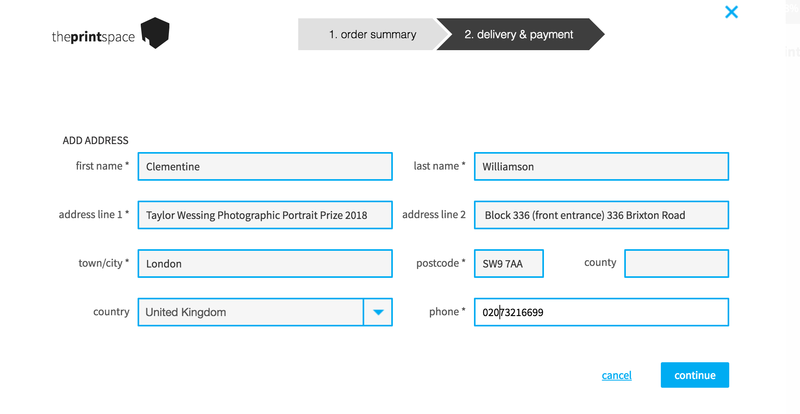 We will be arranging deliveries to the Taylor Wessing Photographic Portrait Prize 2018 Block 336 (front entrance) 336 Brixton Road London SW9 7AA between Monday 9 July – Friday 13 July. If required, we can provide you will delivery confirmation by our courier. Please note that we can not provide you with a printed receipt from Taylor Wessing.